Pretoria - Finance Minister Pravin Gordhan has the daunting task of delivering perhaps the most crucial budget in South Africa’s 22 years of democratic government, said Dr Chris Harmse, chief economist at Rebalance Fund Managers. Although he faces immense pressure from social inequalities, the “free for all” student protests, ailing government parastatals and looming municipal elections, far more is at stake and a true “no return” budget speech (Rubicon) is needed as never before, in Harmse's view. "The normal 'accounting' exercise of balancing the books and fine tuning the expenditure and income sides of the budget simply will not work this time. The normal laughable announcement of higher taxes on liquor and tobacco this time also will not be enough," he said. "Far more is needed and a crossroads budget where specific plans of action - no return fiscal discipline and economic growth and employment creation action plans - are set out clearly is all that will satisfy the South African public and more important the global investment and grading agencies. In fact one may baptise this budget as the 'great grading prevention budget'." According to Harmse, Gordhan will have no choice but to keep the budget deficit at a level of 3.8% of gross domestic product (GDP). The 2015 budget forecast a 2.4% economic growth in 2016/2017 with a fiscal deficit on 2.6%. The medium term expenditure framework (MTEF) adjusted this expectation to 3.3% of GDP. The minster, therefore, will have to increase this benchmark, given the gloomy economic outlook of a possible recession. The economic growth outlook of a mere 0.4% of GDP growth for 2016/2017 is far from last year’s expectation. In this regard it is expected that the GDP for 2016 will be R300bn less than expected. Gordhan will also have to keep debt stock as percentage of GDP lower than 44%. Total net loan debt of 43.9% was envisaged in the mini budget. Any level higher will clearly be oil on the fire for grading agencies, in Harmse's view. At the same time Gordhan will have to increase expenditure by no more than 5.8% as suggested in the mini budget. In the same manner, to keep the budget balance at 3.3% of GDP almost R80bn extra income is needed. The increase in the GDP of 0.4% will only add an additional R6bn to the state revenue. For Harmse, the quickest and most efficient way to finance the expected income need would be value added taxes (VAT). He said politically this will be unacceptable to labour unions. 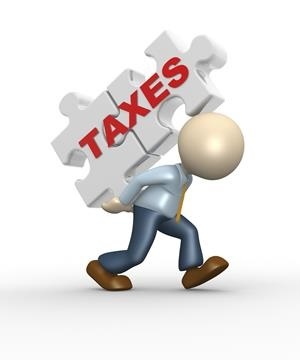 "A VAT increase will definitely discriminate against the poor and given the current level of unemployment and poverty in the country one would rather abstain from this source, even though the Davis Tax Committee has indicated that an increase in VAT has merit," said Harmse. The biggest probability, according to Harmse, will be the raising of income tax brackets with an emphasis on the higher income groups. He also expects a rise in the general fuel levy by at least 60c/litre, the normal sin tax increases, ie excise duties on alcohol and tobacco products, as well as an increase in income revenue from both dividend and capital gains taxes. 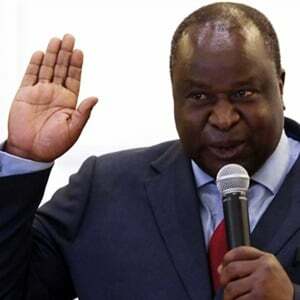 A big worry for Harmse though is the proposals of the Davis Committee on small and medium sized enterprises (SMEs) and further subsidies toward youth employment. He thinks in this budget it may be delayed to later years. "If the minister can avoid a possible junk grading, the benefits may be even better for the high income earners. An avoidance of a junk grading will strengthen the rand exchange rate. This will definitely lead to fewer if any further interest rate hikes by the Monetary Policy Committee this year," said Harmse.